Sending your views made easy! There's not much time left, so here's help to make sure the County Council know what YOU think. Consultation closes on WODC's planning issues paper for the West Eynsham Strategic Development Area on September 21st 2018. WODC consultation on issues relating to the Area Action Plan (AAP) for the Garden Village ends on August 3rd. We need the whole community to come together on 15th July for a big impact demonstration of our concerns about WODC's plans! WODC Cabinet to give green light to Garden Village master planning? Join us to demand they listen to us this time! EPIC has 1,067 signatures and we need more! Please sign - it only takes a minute. 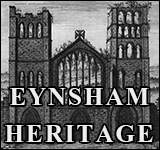 WODC have not listened to the people of Eynsham about their Local Plan. So EPIC has organised a protest march. Please, join us! 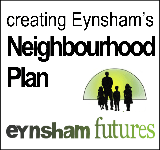 Calling all supporters of Eynsham Planning Improvement Campaign: Eynsham needs you NOW! 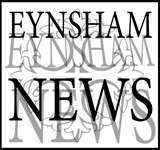 Eynsham Planning Improvement Campaign delivers yet another damning response to WODC Draft Local Plan. Please help us make our presence felt as the WODC Local Plan Examination begins this week in Witney. You may have been one of many Eynsham residents who responded to the WODC’s Local Plan consultation that ended before Christmas. Many expressed concern about the soundness of the Plan (lack of engagement with local people, blatant disregard for the impact on the A40 of the proposed development, and the methods used to make decisions about development sites). In the latest set of modifications, it would seem WODC didn’t listen (again) to concerns about infrastructure, transport, building houses that local people can afford, as well as heritage, history and biodiversity issues. EPIC will be making a strong stand, so you might want to send in again your same response(s) to WODC by post or email (deadline –April 9th), click (Local Plan links) - and shout very loudly why you don’t feel listened to. However, if you have consultation fatigue, we will be putting up our petition about the Local Plan on this web page. So watch out for it and, if you agree, please sign! If you want to put your energy into Direct Community Action, join us on the A40 next month to draw attention to the unsoundness of the Local Plan and highlight the traffic congestion issue. 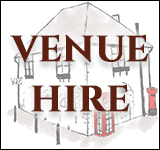 The demonstrations will begin in early April at rush hours beside the A40 and the Toll Bridge, as well as in Eynsham and surrounding villages if they want to join us. The A40 message will go forward in the context that we are not NIMBYs; that we want a sound development plan that is going to be good for newcomers, as well as us. We are preparing an online petition to be sent to the Local Planning Inspector, the WODC, Oxfordshire County Council, Oxford City Council, our MP and local media. A link / details for the demos and petitions will be put on our web page EPIC.